The applicant planning a controversial motorcycle training school in a quiet hamlet has written an open letter to residents pleading for their support, saying ‘we want to cut road deaths’. Tim Coles wants to change an agricultural shed in High Street, Caenby into an Auto Cycle Union Flat Track training school - but villagers are worried about noise and traffic. In an extraordinary move, Mr Coles has penned a letter to objectors via the Rasen Mail. It states: “This is a training centre for skills in bike handling and control. It is not a race track or ever intended to be one. The building was specifically chosen as its size restricts maximum speed. “There are far too many serious accidents and fatalities on our roads. “Any resident of Lincolnshire will be all too familiar with speeding motorcycles. “Our school is part of a national drive by the Autocycle Union (ACU) to the improve safety and competence of motorcyclists. “The aim to reduce accidents and deaths on our roads is something that surely everyone can agree with. “Part of the training is to develop an understanding that speed has its place on the racetrack not the road and in both situations improved skills make riders safer. “We have employed professional acoustic engineers to advise on noise control and they are content that the school can operate well inside acceptable legal noise levels. “We are also happy to discuss any individual concerns and address them where reasonably practical. “The idea for the school came about partly because we have moved out of livestock farming and so the building is effectively redundant. “We also felt that a use for the school was far preferable in our neighbourhood than having 2,000 pigs adjacent to people’s homes. 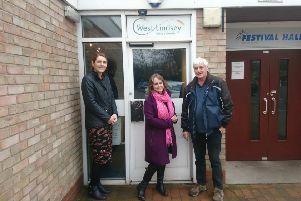 West Lindsey District Council will consider Mr Coles’s application in the coming months.